Here is part 2 of 3 of Microsoft Xbox E3 Conference and what they talked about and announced! This includes a Kingdom Hearts 3, We Happy Few, and more! 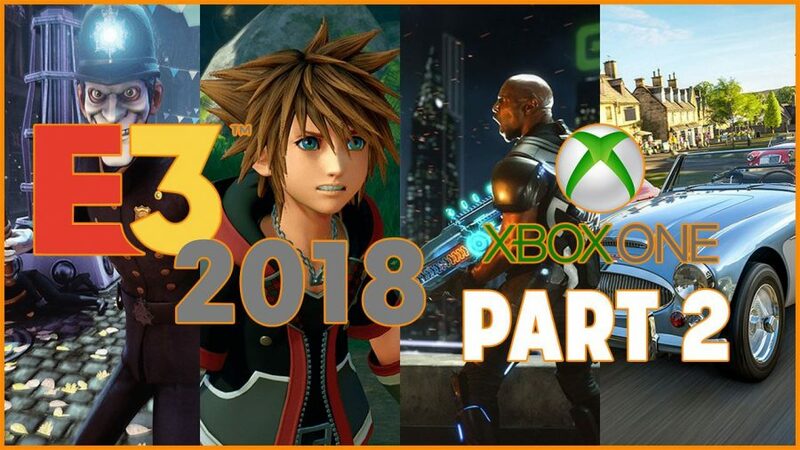 Kingdom Hearts 3 is probably one of the most anticipated games for years now, and it never had a clear release date until Microsoft revealed it on their E3 Conference. 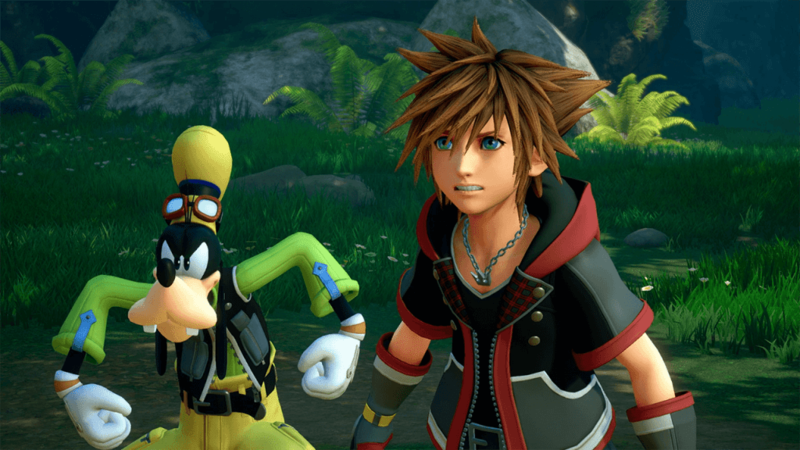 The game is the conclusion to the trilogy of Kingdom Hearts, and of course, it focuses on Sora, Donald, and Goofy’s adventures through various Disney worlds. Not only that, Pixar will be having debut with the series. Some of the confirmed Disney worlds in the game are Big Hero Six, Hercules, Toy Story, and more. Kingdom Hearts 3 is going to be released on January 29, 2019. A remastered version of one of the highly acclaimed Tales of games, Tales of Vesperia, is coming to Xbox One and Steam. This is to celebrate its 10th anniversary, and the game also has the Japanese-exclusive content. Tales of Vesperia: Definitive Edition is a JRPG and uses the Tales of series’ trademark battle system, Linear Motion Battle System. Although, they have used the “Evolved Flex-Rage” Linear Motion Battle System, which has better aerial combos. The game is expected to be released on Winter 2018. One of the most successful Kickstarter projects back in 2015, We Happy Few finally has an actual release date (or launch of full game if you play on PC), and it will be on August 10, 2018. Compulsion Games is also one of the new studios that Microsoft acquired this year. If you do not know We Happy Few, it is an action-adventure game filled with very strange stuff in it. A lot of people compared it to having a Bioshock vibe since the world of We Happy Few is very unique-looking, and it creates a vague and untrustworthy atmosphere for the players; being chased around and all with smiles. What is there to say for PUBG? It is one of the pioneers for Battle Royale games. It has revealed that Sanhok, the latest map, would come to Xbox One this summer, although PC players will get it as early as June 22, 2018. War Mode has been announced, and this is for those who just want to rampage in a smaller map instead of gathering up loots and strategically win games. It has also been revealed that a winter map is going to be released alongside War Mode in Winter 2018 for Xbox One. One of my favorites reveals in Microsoft E3 2018 Conference is this game, The Awesome Adventures of Captain Spirit, solely because it reminds me of my childhood (except the tragic family plotline). DONTNOD Entertainment already proved themselves to be a great developer of story and narrative-driven games which has choices that can change the whole game. This game is part of the same universe as Life is Strange, and it is actually deeply connected as the choices you made here will affect the story of your Life Is Strange 2 experience once it is out. Did I mention that this is a free game as well? You can download it starting June 21, 2018. Tom Clancy’s The Division 2 is one of the biggest Ubisoft’s announcements this E3 2018 conference. It is said that the developers are focusing more on the End Game features of the game to prolong its enjoyment and longevity for the players. The second game is set in Washington DC as the United States of America is about to collapse as a country. The trailer focuses more on the story as it is set 7 months after the virus has spread to New York City. It will be released on March 15, 2019. The third game of the Square Enix’s reboot of Tomb Raider, Shadow of the Tomb Raider, has a much sinister atmosphere than the previous game. Lara can even cover herself in mud to hide from enemies. It is more of a survival-stealth than ever before. She can also mingle with other people, even take side quests or shop. This gives additional immersion for players. The game is set to launch on September 14, 2018. A lot of people, including me, are longing for another skateboarding game, and Session hopefully fills the void of not having a skateboarding game for so long. A successful Kickstarter campaign back in November 2017, Session lets people create their avatar and see the progression of their skills by having repeated attempts in tricks. A video clip editing system is also featured in the game, where you get the feel of creating your own skateboarding mixtapes to show-off to your friends. Sadly, the game does not have an official release date, but I do hope it is closer than expected.